Stanwood/Camano’s Together We Read project will discuss Jamie Ford’s “Hotel on the Corner of Bitter and Sweet,” a novel the Seattle Times called “a wartime-era Chinese-American variation on Romeo and Juliet,” 7 p.m. Tues, Oct. 12 at the Floyd Norgaard Cultural Center, 27108 102nd Ave. NW, in Stanwood. Sponsored by the Stanwood/ Camano Friends of the Library, the Stanwood Camano Area Foundation, the Washington State Library and the Sno-Isle Libraries Foundation. Copies of the book are available for sale at Snow Goose Bookstore, 8616 271st St. NW, in downtown Stanwood. 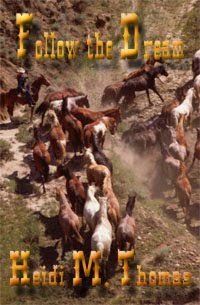 Follow the Dream by Heidi M. Thomas follows the life of Nettie Moser who finally has what she’s longed for–life on a horse ranch and the freedom to ride rodeo with her handsome cowboy husband, Jake Moser. Her dreams are coming true. Then along comes an opportunity of a lifetime. Her friend, famous bronc rider Marie Gibson, offers Nettie an opportunity to go to London and ride with Tex Austin’s International Rodeo. It’s almost too good to be true. Riding rodeo in London! Laura Numeroff, best selling author of numerous beloved children’s books, will make a special visit to Stanwood at the Snow Goose Bookstore on Saturday, Oct. 2nd at 2:00pm. Fans young and old are invited to hear Ms Numeroff read her newest book “Otis and Sydney and the Best Birthday Ever,” a delightful tale of two little bears who learn that the very best days are those spent with friends. A book signing will follow this special storytime. Laura Numeroff is the author of more than twenty children’s picture books, including the New York Times best selling "If You Give a Mouse a Cookie" and the popular "Jelly Beans" series. There is no charge for this special storytime and book signing, but seating is limited and reservations are recommended. Please call Kristine Kaufman at the Snow Goose Bookstore at (360) 629-3631 for reservations and information. The Snow Goose Bookstore is located at 8616 271st Street NW in downtown Stanwood. 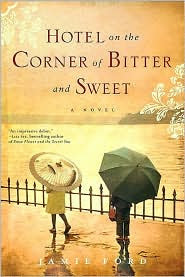 Jamie Ford’s Hotel on the Corner of Bitter and Sweet (Ballantine Books) is a remarkable story of family dynamics, cultural clashes and bittersweet love that spans all chasms. Toggling between the war years of mid-1940s and mid-1980s, Ford chronicles the life of Henry Lee, a Chinese American. In the mid-40s, at a time when many Americans were suspicious of all Japanese as the result of the bombing of Pearl Harbor, Henry is torn between his loyalty to a school friend, Keiko Okabe, a Japanese American, and his father who has an ancestral hatred of the Japanese. In the mid-80's, Henry, now widowed, is drawn to the Hotel Panama, an old boarded-up building where, it has recently been discovered, Japanese war-time household effects were stored. Old memories surface, memories that haven’t really been buried that deep. Carolyn Wing Greenlee’s recently released book, Steady Hedy: A Journey through Blindness & Guide Dog School is a journey into another world, a world without the benefit of sight. Through Greenlee’s delightfully graphic writing, the reader is given glimpses of what she has suffered with retinitis pigmentosa, a genetic eye condition that leads to incurable blindness. 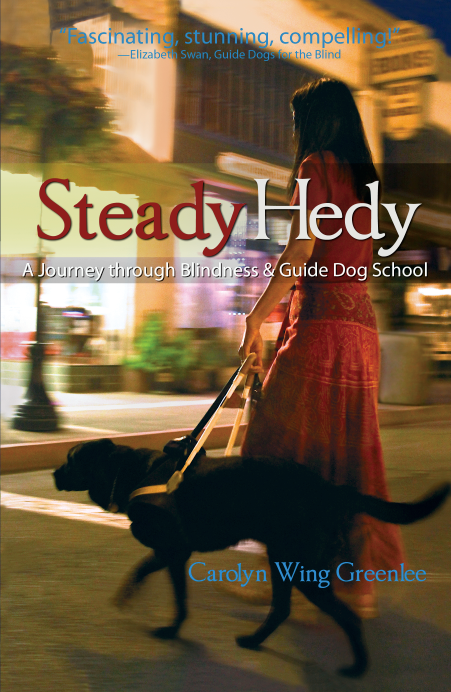 At the time she attended Guide Dogs for the Blind (GDB) in San Rafael, California, her vision had dwindled to 4%. In her class of ten, three were totally blind; the others were in various stages of debilitating visual impairment. For years, Greenlee chafed at the inconvenience of her deteriorating vision loss. Simple tasks took longer, going shopping, especially in a strange store, was a formidable task. Walking brought fear of bumping into something or falling into a hole. The worse part was giving up driving, which meant giving up much of her independence. It's a self-help book, but it's also the autobiography of a man who decided he'd had enough. Enough of drugs, alcohol, crime, anger and a life controlled by the memory of a terrible, traumatic incident. Humberto Aguilera of Stanwood has self-published his first book, "Life Isn't Fair! -- 'Start making things happen,' " and he is eager to share it. So far, the book is available only from Aguilera on his website. It was during a warm summer weekend in Tokyo in 2005 when Barry Petersen first noticed that something was terribly wrong. The warning signs were not immediately evident. His wife, Jan, 55, was healthy and in excellent physical condition, a talented broadcast journalist with CNN, ABC, and CBS News. Local author Mary E. Trimble will present “Tenderfoot” Sat., July 31, 11 a.m., at the Stanwood Library. Set with a backdrop of the 1980 Mount St. Helens eruption, this romantic suspense story takes place on a working cattle ranch. Trimble will share her process for researching and crafting a novel, as well as offer a reading. All of my Halsey brother books have a heroine with an occupation that at the time was male dominated. Doctor in Petticoats is set in Oregon in 1889 which was fifty years after the first woman, Elizabeth Blackwell, earned a degree from a U.S. medical school, there were still lots of prejudice against women as doctors both from male doctors and patients. The Good Times are All Gone Now: Life, Death, and Rebirth in an Idaho Mining Town, by Julie Whitesel Weston takes a refreshingly frank look at the author’s hometown, Kellogg, Idaho. Weston delves realistically into the gritty world of a town’s quest for lead, silver and zinc by Bunker Hill Mining Company, the community’s largest employer. 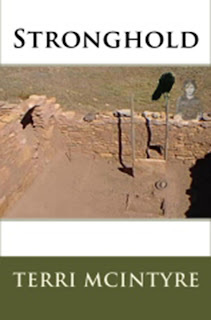 Although the book begins with the author’s return to Kellogg to witness the 1996 demolition of the mining company’s smokestack, much of the book takes place in the fifties and sixties, during Weston’s years as a school girl. 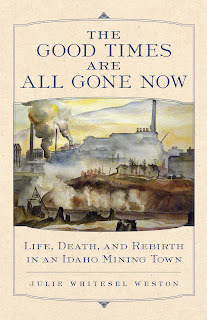 But she also reaches back to the nineteenth century of Kellogg’s founding and the townpeople’s involvement in this stark mining environment, as well as five generations of her family in Idaho. Are you tired of the complexity of the mystery novel, of the pseudo-science filled thriller, and boring formula romance novels? If you are, then let Socrates take you on a different ride. He's not a jackass when it comes to pushing his human into a long-term relationship. You see Socrates is a mule and he thinks his human and the woman he really loves are both stubborn.. . stubborn like a Jackass. With the help of his co-conspirators, Perseus, an Australian shepherd, and Guinevere, a de-scented skunk, the trio bring together Brody, a rodeo clown who is really much more than he appears to be and Rita, a country girl, gone city. Of course the fact that she's engaged to a 'city-slicker' doesn't help Socrates' cause, or Brody's for that matter. If you want a fun read and a nice change of pace be sure to read Jacquie Rogers' Down Home Ever Lovin' Mule Blues (Highland Press, 2008). It is available at Amazon.com. Recommended for adults only. When 13 year-old Joe Aberdeen’s world is ripped apart after his mother’s tragic death, he feels torn between his neighboring grandparents, whom he loves and in whose home he is always welcomed, and his father, divorced from his mother several years earlier and living 1,200 miles away. Although his father has visited him from time to time, Joe hardly knows his father’s new wife and their daughter–Joe’s step-sister. He admires his father, but feels a special closeness to his grandparents and to the area where he has been raised in Indiana. His grandparents want him to live with them and he wants to stay in the place where he is most familiar. Joe’s father must take a stand and, to the objection of Joe and his grandparents, takes his son with him to Arizona. During the long drive, Joe mentally reaches back, back to what’s familiar and what he loves. He’s resistant to the new sights his father points out, resistant to the inevitable change that’s in store for him. He resists all attempts of affection shown to him. Gov. Booth Gardner spoke with a voice that sounded like Elmer Fudd on helium, but it was carried by one of Washington's great fortunes and a tough "big brother" and family fixer. He was dubbed the "Cabbage Patch Governor" and loved being with kids, but was not there for his own children. He loved the Coke ditty "I'd Like to Teach the World to Sing in Perfect Harmony" but a troubled 40-year marriage ended after he began seeing other women and found a new mate. A few years ago, when I'd visit middle schools to booktalk to the kids, one of the things they complained about was J K Rowling, specifically "Why does it take so long for the next Harry Potter book to come out??!" I'd smile that wise, irritating smile and tell them how much fun anticipation is, and they'd be telling their children some day about how they'd be so eager for the next HP saga to arrive. "When I was your age", I'd say (and they'd roll their eyes), "we couldn't wait for the next Beatles album to come out. It's not like today when you can walk into Best Buy and buy them all at once." On August 13, 1944, Joseph F. Moser, a 20-year-old farm boy from the little town of Lynden, WA, found himself far from home. The battle for Europe was raging in the skies over occupied France. Joe was the new flight leader for his squadron of four P-38 Lightning fighter planes, each of which carried two 500-pound containers of high explosives beneath their wings. He had already flown nearly 40 missions, but this day Joe’s fight for survival would really begin. His story, as told by Gerald R. Baron, is found in his book, A Fighter Pilot in Buchenwald. As many others of my generation, I was stunned to watch on TV "The Catch," Mays' running, back-to-the-plate catch in deepest centerfield off Cleveland's Vic Wertz in the 1954 World Series. The catch was the highlight of the underdog New York Giants' Series sweep of the Indians. It was one of those events that we remember later in every detail. I saw it standing at the lunch hour in the living room of my University of Washington Delta Upsilon fraternity house. The 20-30 of us watching let out an involuntary "Oh!" as Mays caught the ball and, then, in one motion whirled to throw it back to a waiting infielder. The explosion of Mount St. Helens is listed as the most devastating volcanic event in the history of the United States. 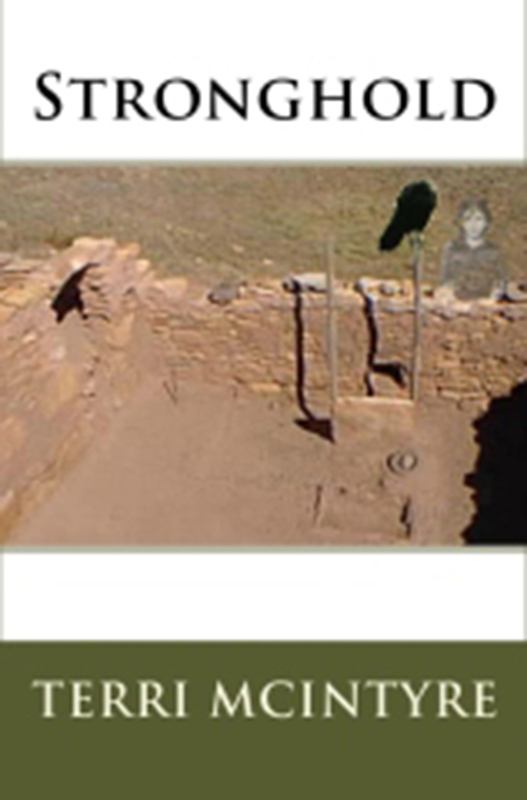 To author Mary Trimble, the event was a natural as a backdrop to a fictional story. But in 30 years, few people have thought to include it in such writings.